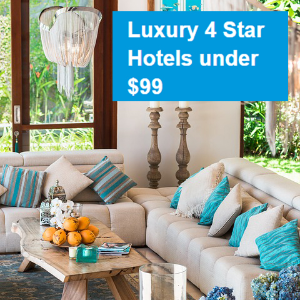 CheapOair.com offers Luxury 4 Star Hotels At 2 Star Rate under $99 . 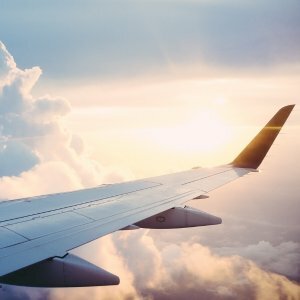 CheapOair.com offers CheapOair last minutes flights from $83 . CheapOair.com offers CheapOair Promotion Code Up to $40 off. Black Friday Deals, Ready for Takeoff! Get up to $40 off Our Fees on Flights, Hotels & Cars by Using Promo Code BFRIDAY40. Book Now! CheapOair.com offers Dealmoon Exclusive Offer Booking Flights save up to $30 off via coupon code "DMS30". Applies for bookings up to 3 passengers. Book by Nov 30, 2018. Enter Promo Code at time of check out. The advertised Promo Code provides discounts against our service fees on stated routes. A maximum of $10 per person can be saved by using this promo code; 3 passengers are needed to redeem the full value. Promo Code and Instant Savings offers can be combined up to the amount of our service fees. Excess savings will not be applied. Promo Code expires on date indicated and can be withdrawn at anytime without notice. Our standard service fees are $35 per person one-way/roundtrip for economy class tickets. CheapOair.com offers San Francisco To Beijing RT Airfare from $448. CheapOair.com offers Dealmoon Exclusive Promotion Code get $30 off. 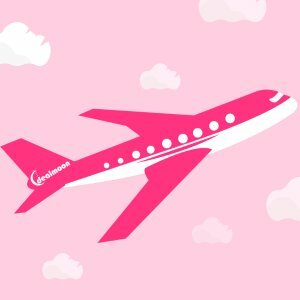 CheapOair.com offers Dealmoon Exclusive Offer Booking Flights save $60 off. CheapOair.com offers CheapOair Frontier/Spirit/United Airlines Cheap Ticket from $90 . CheapOair.com offers the NYC/EWR - Honululu Good Price $350+. CheapOair.com offers Boston — Reykjavik Roundtrip Airfare from $206.99 . CheapOair.com offers the New York - Miami RT Flight Aug -Sep for $127.4. CheapOair.com offers Fort Lauderdale to Montego Bay (MBJ) Flight Good Fare from $277.85 rt . CheapOair.com offers San Jose (SJC) to Las Vegas Mccarran intl. airport (LAS) from $98.74 . CheapOair.com offers Seatle - Los Cabos RT Flight Disocunt from $367.10. CheapOair.com offers Fort Lauderdale to Montego Bay (MBJ) Flight Good Fare from $264.85 rt . CheapOair.com offers NYC-FLL Nonstop AIir Discount from $112.4 taxes inclued . CheapOair.com offers NYC - Paris Nonstrop Air from $481 taxes incl..
CheapOair.com offers Airfare Deals Under $199 from $92 .